Join a community of practice. 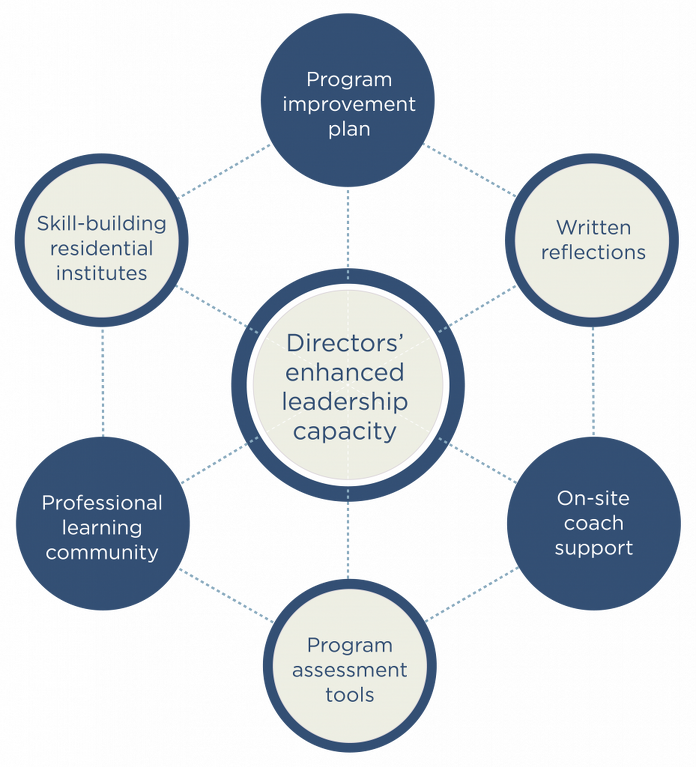 The McCormick Center’s Leadership Academies, Ready to Lead (RTL), Taking Charge of Change™ (TCC), and Taking the Lead (TTL), offer transformational professional learning for center-based and home-based program administrators. These communities of practice meet throughout the year. Credits for college and professional development credentials are available. Develop your Leadership Essentials. Delve into topics including the power of reflection and self-awareness, understanding your leadership style, transitioning from peer to supervisor, and productivity and project management. Participate in interactive face-to-face and online learning as well as guided reflections. Content in Ready to Lead (RTL) is aligned with the Illinois Director Credential and Illinois Gateways to Opportunity. Note: This price is only for Illinois residents. Out-of-state residents, please contact Barbara Volpe at barbara.volpe@nl.edu or 847-947-5132. Learn more about the proven outcomes from TCC. Empower yourself and embrace the change process. Delve into topics that strengthen your leadership style, promote peak performance, implement a quality improvement plan, and build a strong organizational climate. Explore individual differences, communication styles, systems thinking, and how to build team cohesiveness. Learn strategies for recruitment, inclusive leadership, meeting facilitation, organizational climate, peer learning communities, supervising staff, and more. Participate in interactive learning and guided reflections. Use the Program Administration Scale (PAS) and the Early Childhood Work Environment Survey (ECWES) to diagnose organizational problems and assess the need for change. Experience the impact of blending shared decision-making with data-based decision-making skills. Receive one full-conference registration to attend Leadership Connections™ National Conference. Valued at over $3,000 but priced at $775, there is no other leadership program as impactful and cost-effective as TCC. Learn strategies to grow and sustain your business with Taking the Lead (TTL). Work alongside other family child care providers to enhance your skills as an entrepreneur and educator. 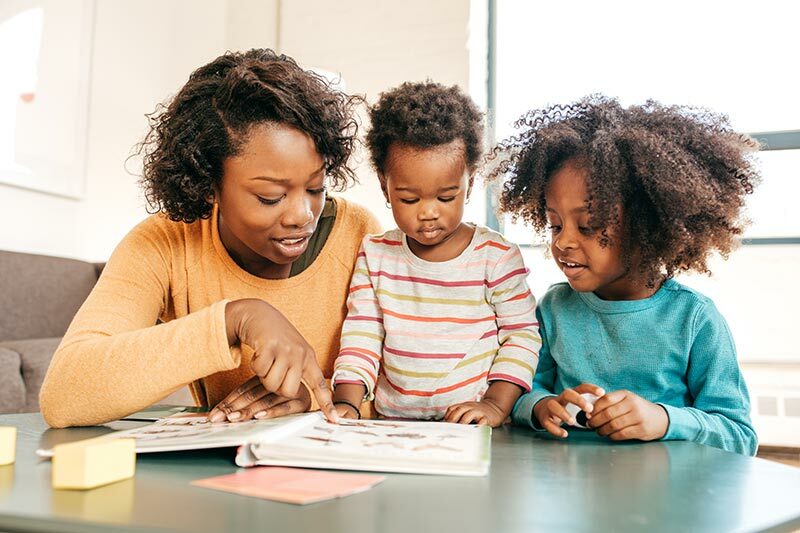 Delve into leadership topics specific to family child care, including fiscal management, environments, recordkeeping, marketing, family partnerships, and advocacy. Gain an understanding of your role as a change agent—at the individual, business, and community levels. Become part of a professional learning community of family child care providers and receive individual support from a mentor. Gain increased access to professional resources that support the ExceleRate™ Illinois Quality and Rating Improvement System (QRIS). Develop and implement a quality improvement plan. Participate in interactive learning, online modules, and guided reflections. Receive a $300 mini-grant to support improvements toward circles of quality in ExceleRate Illinois. Work toward achieving professional certificates and improving your QRIS rating. Content in TTL is aligned with the Business Administration Scale for Family Child Care (BAS) and, for those in Illinois, ExceleRate Illinois and Illinois Gateways to Opportunity. TTL is valued at over $1,000 but costs you only $120. Note: The price of $120 is only for Illinois residents. Out-of-state residents, please contact Barbara Volpe at barbara.volpe@nl.edu or 847-947-5132. Applications for TTL are currently closed. Please subscribe to get notified when applications are open. College credit through National Louis University (NLU) is available for TCC and TTL at an additional cost. Scholarships and financial aid may be available to help you cover the cost. Over 700 early childhood leaders have experienced this transformative professional learning opportunity. Apply by May 31, 2019. More than 100 family child care providers in the Chicago area make up TTL’s alumni. Subscribe to be notified when applications open.